The bemused and sometimes confused ramblings of a twenty-something girl, muddling her way through life and dreaming of living the luxe lifestyle. Expect a passion for pretty things (particularly vintage), a touch of travel, everyday musings and a little weirdness. I'd originally started to write a piece on the people who inspire me as I was feeling particularly philosophical one afternoon watching the Olympics. It was going to feature the likes of my favourite performers, sportspeople etc. And as I was trying to compile my list, it hit me. To hell with "famous" people who inspire me. What's the point in writing about them when so many people I know in real life inspire me on a day-to-day basis? And this is where my friend Rob comes in. 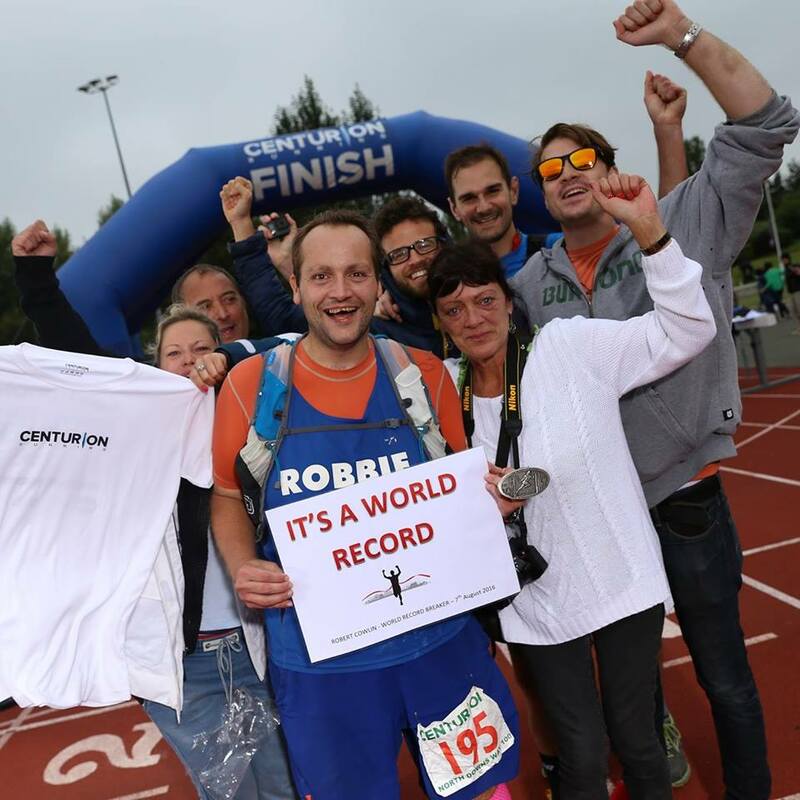 As I sat on the sofa, he was becoming a Guinness World Record Holder by becoming the heaviest man to complete a a centurion running event ( North Downs Way: 102.9 miles in 28 hours 40 minutes, weighing in at 105kg). Wow. Rob's no stranger to running events - he's already completed several marathons, but this event was rather special. Like him. He is one of the most driven and inspirational people I have ever met. And to top it off he's incredibly intelligent, funny and talented. Infuriating really. But a man I am incredibly proud to call my friend. My journey started long before I knew what running a mile felt like, when I was 6 years younger and rocking a solid 25 stone body. I was hardly ashamed… I was actually pretty active for my size and almost revelled in being – quite literally – larger than life. That was right up until I got a place in the London marathon, for which my training was to jog twice around a football pitch, play football with my friends, eat a Chinese takeaway (with one whole bottle of white wine) and then basically eat an entire packet of Nurofen for breakfast, because it turns out I broke two toes playing football that day (the day before the London marathon). I finished that London marathon in all of about 7 hours. How/why/wtf? Because somebody – and it isn’t important who anymore – said I couldn’t do it. Nonetheless, I had to be watched on the sofa all night as I vomited up anything and everything we tried to re-hydrate me with, and I scared the living daylights out of my whole family laying on the sofa with blisters larger than Japan on each foot (because I bought shoes at the expo and wore them the day after… for the London marathon). My name is Rob Cowlin, and I am a stubborn idiot. And then I lost my Dad. Almost exactly one year ago today I had to say goodbye to him. The strongest, most generous and kind person who would do anything for anyone and was everything to me. I couldn’t pretend for a second to be religious or particularly spiritual on any level, but I would be lying if I didn’t feel his presence, and shed tears at the swells of happy memories that flooded my weary head, as the sun fell and then rose again. 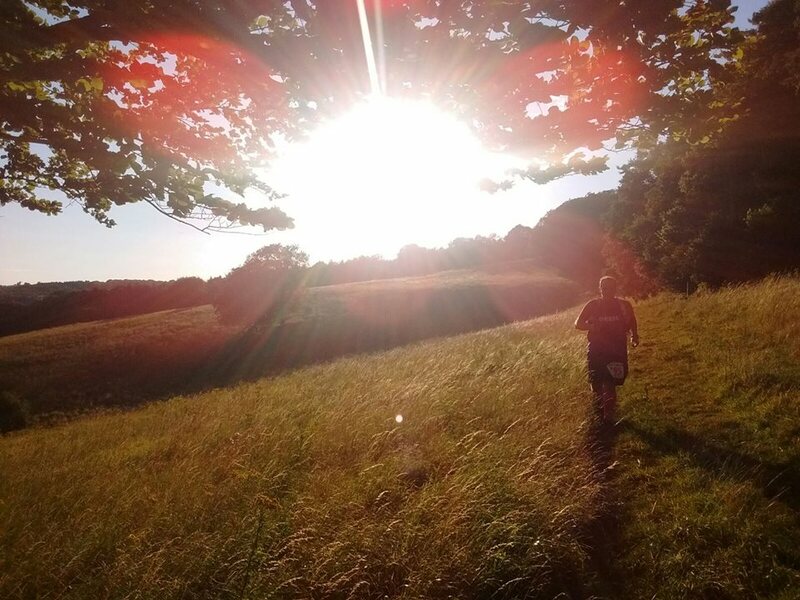 All of that was pushing me forward on the hardest run of my life, to try and accomplish something unbelievable, as I attempted to do him proud along the North Downs Way 100. It was then that I had to fly out to Chicago for a week and do some training with work. Thankfully, my good friend Max (who had offered to pace for me) was there too, and being the pillar or chill and calm that he is, talked me down from a ledge in many respects. We even went out for a few very mild training runs to get my confidence back. By the end of the week I fully ditched a half day of training in some spreadsheet nonsense to just run around a massive lake somewhere in Illinois. An excellent decision I feel… We had elected to spend one more week doing an unscripted road-trip through Colorado and New Mexico, which with some kick back in my legs and my back pains fading, we hiked aplenty. Between the altitude, the summer heat and the peaks, these hikes were invaluable preparation. I even bought a Leadville bandana, and hiked a fourteener, just to feel badass again! I shared a cab with a nice guy called Andy and some others, the surreal motions of race day in full swing as I swigged porridge and apricots at 5am and tried to neck some coffee. We got to the briefing hall to discover a very different energy from yesterday, with a clear split between buzzing, quiet confidence and focused trepidation amongst the other runners. I honestly didn’t know what to think, and I believe the feeling was mutual. Not to bang on about it, but as a bigger guy I get a lot of attention. It wasn’t that anyone made me feel uncomfortable, but I noticed a few raised eyebrows that I read as “wow, really?” I’m sure it wasn’t the case, but sometimes a guy like me needs to feel a bit like someone doubts him… If I didn’t have enough reasons already to succeed, now I definitely did. I deserved to be here, and I wanted to show it. We set off and I managed my pace quite well along some beautiful trails. The first section up to and including Box Hill was the only bit I’d recce’d with my friend Max, which made it vaguely familiar. I took the chance to try and meet some of my fellow back-of-packers – since 95% of the field took off so fast they were out of sight inside 10 minutes of the last stile… I could’ve started to feel out of my depth if it weren’t for a nice chap called Hideo and a lady named Kate (whose bright pink getup made me wish I hadn’t saved my pink compression socks for the second half) who – with their significant experience in ultras (far beyond mine) - made me feel I was probably in the right place, especially considering my original plans. I had to run my own race, regardless of what happened with everyone else. First marathon done in c 5 hours 45 mins – 15 mins ahead of schedule! If I’m honest the early aid stations were very much a blur. In my serious dedication to finishing I was only permitting myself the time to fill my bottles, scoff a handful, pocket more, neck a coke, say “thanks very much!” and trundle off. This routine carried on in the loneliest patch of the race, where I was starting to feel some strain and having to massage/thump my limbs as some kind of moving massage - but it kept me ticking over. I’d also heeded some great advice/observed other contenders hiking over the technical grounding, and did the same to avoid any risk of rolling my ankle. I got chatting to a lovely Cornish lady who was also on her maiden Centurion, and it took my mind off of the difficulty of the uneven footing in fields as we galloped on toward Knockholt pound, which I kept thinking sounded like some sort of maximum security prison. On arriving at Knockholt I was pleased to see a nice ‘village hall’ style stop (and not a horrible prison), but I saw my Mum, stepdad and good friends lingering at the end of the road and went straight past the stop once my number was taken. I’d already confirmed ahead what I wanted, but my good pal Robin asked me “they’ve got hot food – what do you want?”… “Soup! ?” I replied in a confused daze, but felt like I didn’t want to impose… “It isn’t a bloody restaurant! !” I smiled for the first time in about 3 hours as I trundled into Knockholt, gave my mum a big hug and asked her apologetically if she could peel off my injiji socks. I then slapped a new coat of bodyglide all over and opted for my abrasive pink compression socks – hoping they’d nurture my calves through the night to come. I didn’t get any soup, but I did dip some maltloaf slices in butter and ran off with a bag of salted peanuts and my first pacer Manol. Second marathon done in c. 7 hours – still 15 mins ahead of schedule! I took off with Manol who was due to do a 21 mile shift - through the town we went as I was re-briefing him on the plan and telling him (1) please don’t get me lost and (2) I’m feeling surprisingly strong and if we nail this marathon we’ve got it in the bag. Ironically the first thing we did was get utterly lost, so focused on our banter we were… and I HATE getting lost. I had a bit of a whinge, then we bickered as we do about almost everything, before cracking on to the next crew stop and a further 10 miles to the aid station. While he is an amazing runner, he (probably not thinking I’d ever make it far enough to need his services) didn’t have everything in the way of kit and food. Nonetheless, we were powering on, and I left the aid station so fast – with the usual hit-and-run policy – that he told me off for not eating enough. “I’ve got plenty of fat stores to keep me going, I’m more worried about you!” I yelled that at him, but knew he was actually speaking sense (for once) and downed some pretzels I’d grabbed from the crew van to eat as we went. Being a strong runner who often dances over the alps and over mad terrain, and boasts a 2 hour something marathon PB, he found time to take some great photos and educate me on downhill running, which I tried to be well-humoured about, because it’s not the same doing that carrying the additional weight of an average adult around your body… Nonetheless I was credited with having a “not bad downhill running cadence” – whatever the Hell that means. When we found a pile of cows at the bottom of said hill, I got my chance to educate Manol in dealing with them, raising my arms over my head and letting out a gentle “RAWWWWWRRRR” before accelerating through the nearby gate, because I was way more scared than I let on… Not quite as scared as he was when an enormous dog leapt so high at a gate he almost jumped over a hedge, because we were apparently about to be “savaged and eaten”, but that only made me smile for the rest of our time together. We kept up the pace as the sun went down, passing a few other runners and having a brief chat. Of course I wasn’t utilising the genuine running skill of my pacer, but he is a guy I’ve known a few years, and while he sits in an elite pace category, it was genuinely a huge lift to hear him having some positive things to say about my endurance and determination. He’d been one of the doubters (though badly wanted me to succeed) and was starting to believe this ridiculous attempt was possible. I was less impressed that he decided my spirit animal was a “Yak!” because it “looked massive and unwieldy, and you wouldn’t expect it to keep on going, but it does.” Charming. Still, getting down to 7/8 mins per km (I don’t do miles, because they’re nonsense) for a sustained period was genuinely “nailing it” as my excitable pacer put it, and we sustained that until the motorway bit (I obviously know the course well…..). At this point my friend Max took over the job of ‘pacing’ (read: running butler) for me. I annoyed my crew of concerned family/friends by starting to fade a little at this point. I was still smiling for photos and pushing hard, but when I refused my warm pasta-in-a-bag I’d always planned to eat, they seemed worried. I wish I’d had time to explain to them what was to come, the anticipation of extreme pain and fatigue that I was going to endure… but I honestly had no earthly idea. And in my mind, I didn’t have the time. Sure I had a plan, I knew I was ahead of it, but you never know the extreme misfortune that can strike, and I was just in a state of utter refusal to sit down or stop for a second longer than I had to. In my mind it was healthy to drive on while I had anything left to give. It was refreshing to get Max and talk him through some of the stories so far to ease the creeping pains in the muscles and bones. I forced down some lukewarm, bleak pasta and then we kept a fairly solid pace heading towards Bluebell Hill, passing some genuinely weary runners on the way and checking they were OK. It sounds silly, but I’m always in two minds about this, since I’d think it quite an affront – were I a fairly strong and athletic person to be passed by and checked upon by the likes of me, but I always do because I know that’s actually very silly! Max was doing an exceptional job of finding the tape now I was tiring and took my mind off some of navigation, which was amazing, and I still felt really strong as we chugged in to the aid station past the glowsticks (which was a very cool touch). Third marathon done in c. 6 hours 30 minutes – 1 hour 45 mins ahead of schedule!!! Out again and just as quickly we made our way to the infamous Detling aid station and entered what would become a defining moment in the journey. I had talked the timings through with Max as we entered “my last bloody marathon of this race”, which was a stupid thing to have to say aloud. I was becoming hideously focused, almost greedy on banking more and more time. Whenever my crew would refer back to my plan I would say – and I paraphrase – “screw the plan – the plan is dead to me. I want to finish this thing ASAP.” I had admittedly gone a touch mental at this juncture. I didn’t even feel like I was a physical embodiment anymore. Maybe this was the ‘zen’ moment many ultra runners refer to, as the physical drifts away, because I felt powered by nothing worldly… I was fixed on memories of walking through the woods with my Dad and brother as kids and how happy it made me, as my good friend Max and I hiked through stony paths in endless cornfields and winding country lanes. I didn’t feel tired for a second now, I just felt utterly overwhelmed by the probability that I could and would do this, against even my own ridiculously stubborn expectations of myself. I even allowed myself a sit down at the Dunn Street aid station (for a strict 3 minutes, which I timed, making about 15 minutes total sitting for the entire run) and shared a joke with the lovely guys running it, because I knew I could do it. And as those 3 minutes ran out, I hauled myself up and actually jogged out of that aid station munching a cookie, black coffee and congratulating (with crumbs spraying) the 5 or so people who were just heading in to it before disappearing towards Ashford. At this point something else took over, which must simply be a universal function of adrenaline, as my body began to feel weightless again upon my powerful but decimated legs. My strides grew longer, I danced across the roads with great awareness and heightening pace and could almost smell the running track, the finish line and victory. Even being hit by a speeding car at this point would not stop me from pencil-rolling to my dream. “What are you made of?” my mum said grabbing me tightly and crying with joy that I’d come home safely… “I did this for Dad and I did this for you. You are everything to me, and I am nothing without you.” I could have dropped dead a happy and accomplished man right there and then. My name is Rob Cowlin, and I am a Centurion runner. Copyright Alex Herself. Premade design by gatto.